Occupying just 13.5 cm wide with its footprint, the RHODIUM 400 manages to unleash a festival of sound thanks, in-part, to its high performance membranes. You completely forget about its compact dimensions very quickly. Rich basses, clear highs, and all packaged by clean lines that run through the entire series. 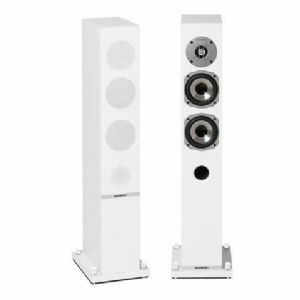 A truly fine floor-standing speaker.